Rhoda Dawson was one of the most beautiful and graceful ladies ever to live in Bollington. She was a dancing teacher who lived at Brook House on Wellington Road (next door to the Waterhouse Medical Centre). 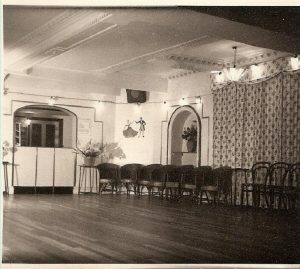 The house had a ballroom with a sprung floor. Rhoda held classes there, particularly on Saturdays. 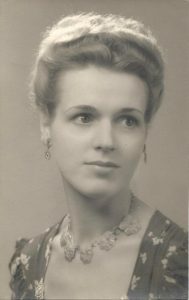 She moved, with her husband, to Brook House in 1939. We don’t know when she started or stopped the classes. The classes were strictly run – absolutely no hanky panky! They were immensly popular. There was a bar adjacent to the dance floor where Rhoda sold soft drinks and chocolates (rationing permitting!). Rhoda had a dancing partner, Eric Whitehurst. She was married to Jack Broomhead, a gas works manager. Very many Bollington youngsters went to her classes not just for raising their dancing skills, but to find and develop a personal relationship, and many are those went on the marry. Many of these still live in the town (2018), enjoying their latter years with good memories of how they started out at Rhoda’s dancing classes! Regretably Rhoda ended her days with dementia, unable to recall any of the wonderful times she had provided for so many Bollington folk. She is burried in her married name, Rhoda Broomhead, in Pott Shrigley churchyard. 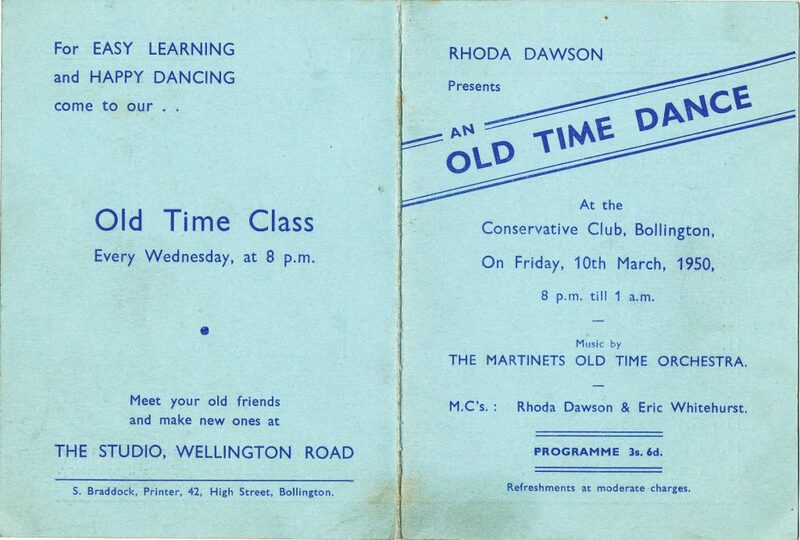 Below is a programme from an Old Time Dance, staged by Rhoda at the Conservative Club (which used to be on Adlington Road) in 1950. 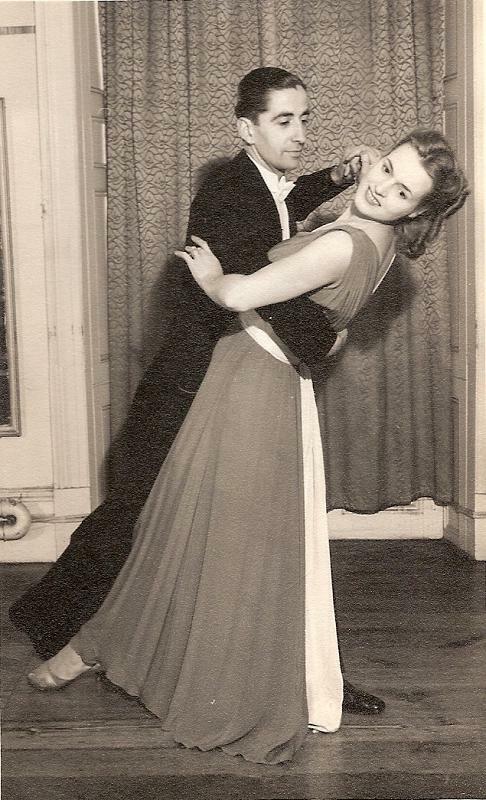 The programme mentions Rhoda’s dance partner, Eric Whitehurst. Eric was a local man who owned a fruit and vegetable shop on the corner of Oldham Street and High Street. A very smart man apparently. Interesting to note the printer, S.Braddock, who was based on High Street. 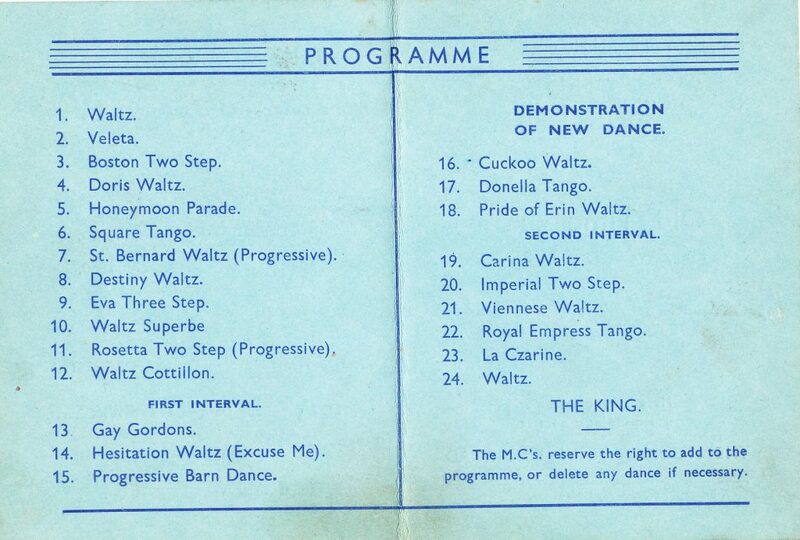 The programme also mentions the regular Wednesday evening Old Time dance class, held at Brook House on Wellington Road. Click on the programme to enlarge it. We thank Graham Hibbert for the pictures, a collection of which he donated to the Discovery Centre . The information comes from Graham and a number of contributors to the Old Bollington page on Facebook and we thank them all. 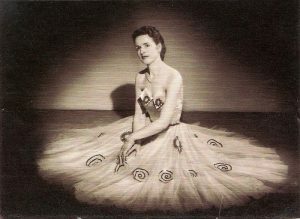 We also thank Edwina Wood, who made the dance programme available to us.